The Compact Fantasy 1 Cave Tree is a special variation on the regular 1 cave tree. This variation is intended for areas where space and height may be at a premium. The Compact 1 Cave is only available in a height of 5 feet. As with the regular cave tree, the cave can be located on any of the top three levels and its location can be changed in a couple of minutes any time you like. If the cave is at the top of the tree, the height will be increased by approximately ten inches. It can be turned to face any direction and it's a great idea to change it regularly. 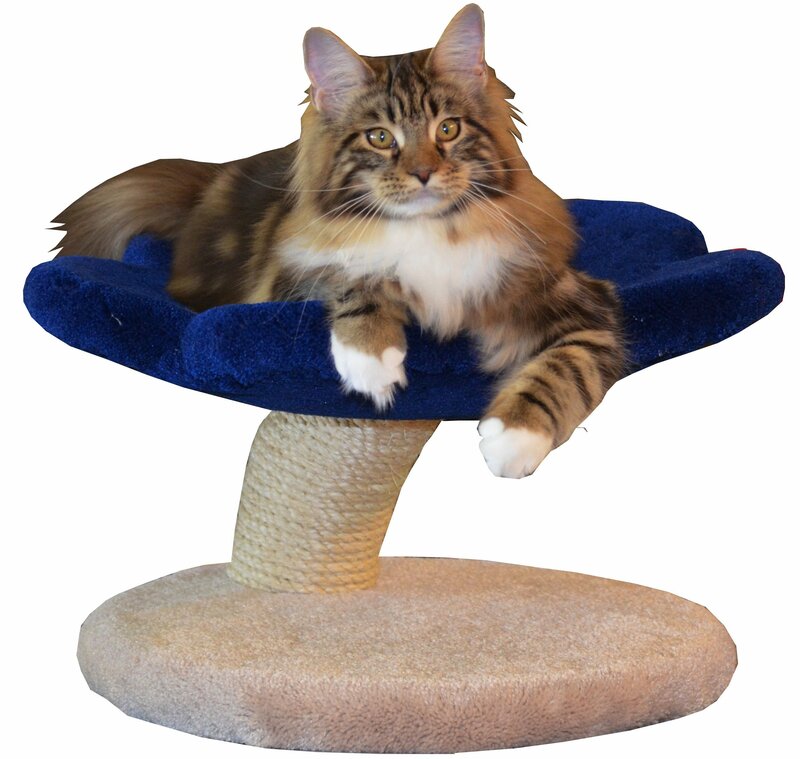 FINISHED WOOD BASE UPGRADE: the standard tree comes with a carpeted base included. For a finished wood base (3/4″ pine) with clear varnish, please add 25.00 or 35.00 for a walnut stain, either light, medium or dark.